65+ shades across the color palette, ranging from delicate nudes and pinks to vibrant berries and daring darks. 50 of the shades match CND Shellacs™ most loved colors, and the remaining 15 are exclusive, brand new shades inspired by high end fashion runway trends and luxury brands. *When used as directed. 2. 1st Color Layer: Seal the free edge and apply an extremely thin, translucent layer of CNDTM SHELLAC LUXE Color Coat to all five nails. 3. Cure for one minute (preset button 2S) in the CND LED Lamp. 2. 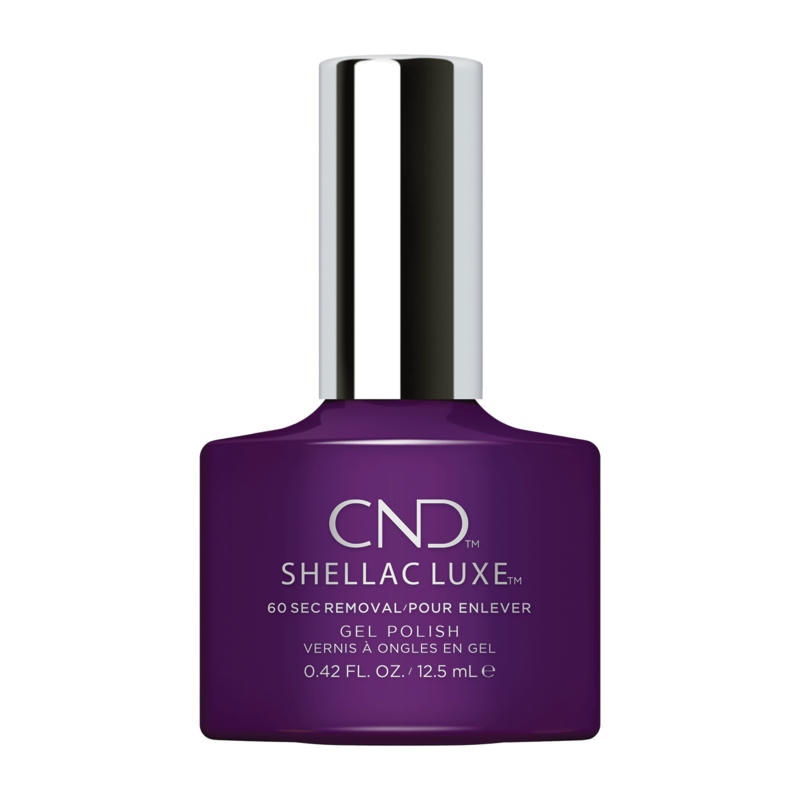 Seal the free edge and apply a layer of CND SHELLAC LUXE Top Coat to all five nails. 3. Cure for one minute (preset button 3) in the CND LED Lamp. 5. Condition nails with SOLAROIL Nail & Cuticle Care. 1. Throughly saturate the cotton pad of the CND Foil Remover Wraps with CND OFFLY FAST; starting with the pinky finger, place the pad on the nail and tightly wrap all 10 fingers. 2. Set the timer for 60 seconds. Firmly press on the top of each nail, massage and twist the wrap from the nail while encasing the product within the wrap. Remove residue using a plastic-backed, lint-free pad or a stiff manicure brush moistened with CND OFFLY FAST.